The fabulous Bella of the Citizen Rosebud gave me the “Tell Me About Yourself” award. Thank you, Bella! 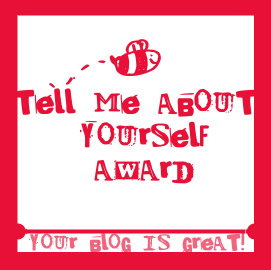 This award is similar to one given to me earlier by the also-fabulous Catherine at Aesthetic Alterations and JTWisdom of Bubbling with Elegance and Grace, all of them asking the recipient to share seven random facts about herself. Here are mine. Please don’t open this near me because I will have a terrible accident if you do. 1. 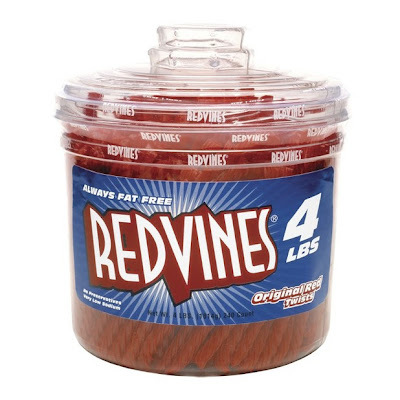 I’m horribly addicted to Red Vines Licorice. 2. The very first thing I wanted to be was a figure skater. 3. I am deeply afraid of thunder and lightning. 4. True Blood is my favorite fictional show, while my favorite “reality” (ha) show is The Rachel Zoe Project. 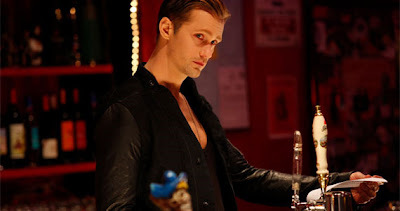 I have a crush on about half of the actors in True Blood but Alexander Skarsgård, who plays Eric, is at the top of my list. Still loving The Rachel Zoe Project. 5. 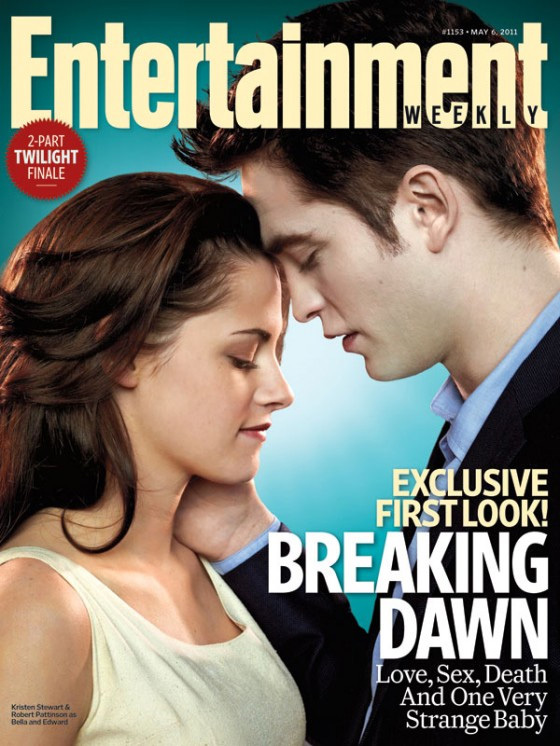 I wouldn’t call myself a “Twihard” but I am looking forward to the next installment of the Twilight movie franchise. 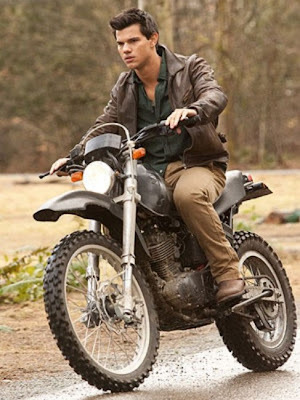 I feel I belong to both Team Edward and Team Jacob. Can someone tell me why I find Taylor Lautner so cute? I’m old enough to be his mother. 6. Because my father was in the Navy, I graduated from a high school run by the Department of Defense Dependent Schools in Subic Bay, in the Philippines. 7. 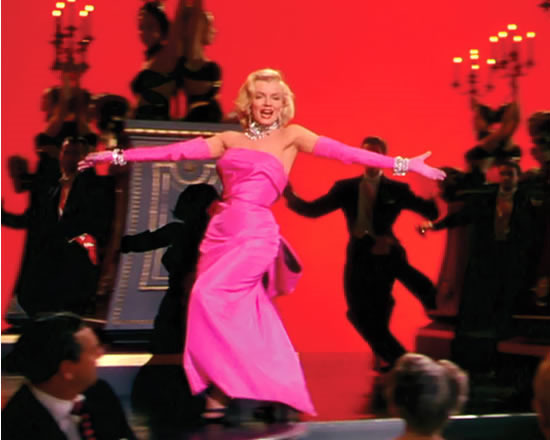 The dress I wore to my senior prom was inspired by the pink dress Marilyn Monroe wears to sing “Diamonds Are a Girl’s Best Friend” in Gentleman Prefer Blondes. Marilyn in Gentlemen Prefer Blondes. I know you are smiling right now, either at my hair or my arm candy. I still can not believe this is you in the last photo. First I thought you are lookin through one of these picture-walls, you know, the ones they have at fairs, were the face is left out and you look through and pretend you are someone else. But no, you are standing in front of the picture-wall. Ok, I am LOVING your prom picture! Your prom dress is actually quite tasteful esp coming from the '80's! I too share a passion for the red vine. I pair it with black vine for crazy licorice over load. I'm glad you added Ivy, Patty and Casee Marie to your list. Can't wait to know more about them! Look at that arm candy dressed in a uniform! What a darling. It never fails to surprise me--how great men look in a military uniform. 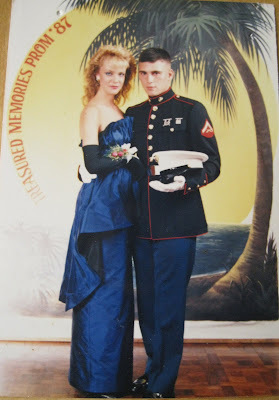 I dated an array of guys early on who were Marines, and oh how I loved the dress blues! I have never watched trueblood. I thought it was for kids. I must have a look. It is so nice to get to know you better little by little. Your prom pic is the best ever!!! Did you make your prom dress? thanks for getting to know you better! Hi Paula, that is so funny that you think I'm in front of a picture wall. Nope, it's my senior prom picture, with my boyfriend at the time. Can't wait to read 7 random things about you! Bella! 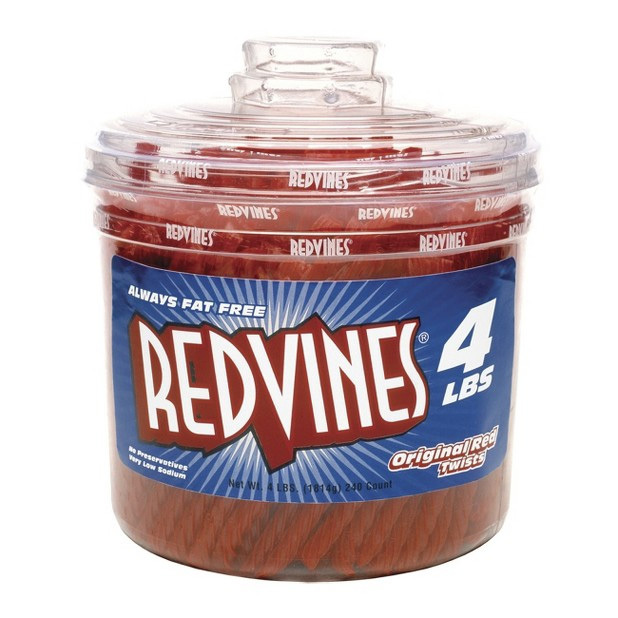 Why am I not surprised to find out that you are a Red Vines lover too? My dad loves their black licorice, but I've tried it several times and it's not for me. If you have any prom pictures from the 80s I so want to see them. Hi Catherine, a ha, we have something else in common, regarding military men! I still love a man in uniform and the marines are my absolute favorite. Hi Pam, I love that you are watching 'The Rachel Zoe Project' because I recommended it! And what do you think of 'Fashion Hunters'? I know if I had cable TV I would so be watching that show. I see that Michael Tonello, who wrote 'Bringing Home the Birkin' is on tomorrow night. You have to watch it for me! Hi Veshoevius, I couldn't resist showing that prom picture. I still love the dress from the waist down but I would want to alter the bodice to lose those ruffles! Oh Sacramento, be forewarned, 'True Blood' is violent, gory, filthy and hilarious! I love it but the more I ask around it seems people either love the show or hate it. There is no in between. Hi Paula, because we lived in the Philippines at the time I was able to have the seamstress my mother hired make that dress for me, out of silk my mother had brought back from a trip to Thailand. The seamstress watched Marilyn sing 'Diamonds Are a Girl's Best Friend' (I had lined it up on the VCR for her to see), then made a pattern for the dress on one viewing! Amazing! You are SO lucky to know somebody who skated for the Ice Capades! I saw several of their shows as a child. My favorite was the one not long after Dorothy Hamill won her gold medal in 1976. She was gorgeous and skated so beautifully. Seeing her was one of the biggest thrills of my young life. Thanks for tagging me! Can't wait to share some juicy things about myself, lol! Wow, high school in the Philippines must have been interesting! I lived there for 3 months a few years ago for work - the best beaches ever! I watched the first season of the Rachel Zoe project, primarily because my roomie had a TV, so I haven't seen it since. It was hilarious though and "ba na nas" haha. Hi Ivie, I loved the answers you gave in response to this tag. I am also impressed that you know about the beaches in the Philippines! Hi Marina, I think we could sit down together and watch TV for a long time, between 'True Blood,' 'Pan Am' and 'The Rachel Zoe Project' (wait, do you like that one too?). I loved your answers, it's so nice getting to know you. Oh Sarah, I so wish I had been with you when you met Rachel Zoe. I would've loved to have met her too! I'm so glad you got those great pictures of her. You are a talented photographer, I loved everything you showed for Paris Fashion Week.